Steak Seasoning is a delicious blend of onion, paprika, garlic, salt and other spices that truly livens the taste of steaks. 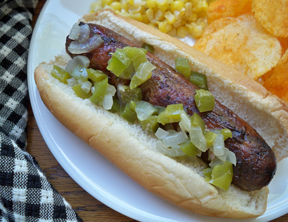 Brats boiled in beer, onions, and green peppers for extra flavor. 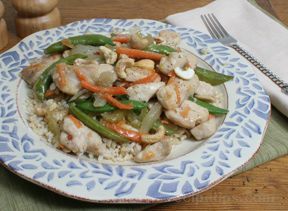 The onions and peppers can be added along with some of your other favorite condiments for a well dressed brat. 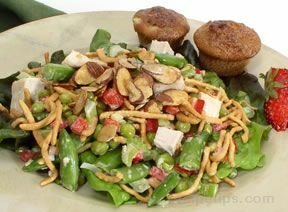 A crisp, delicious salad with a crunchy texture and zippy flavor. Perfect for a light lunch. 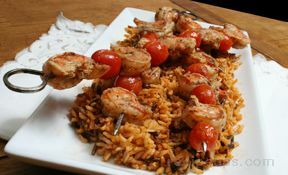 Shrimp on the grill can be so flavorful, especially when it's prepared with this Creole-style recipe of seasoned shrimp and grape tomato kebabs accompanied by a serving of rice, which is flavored with sun-dried tomatoes. Add flavor to those pork chops by marinading them with this flavorful sweet and savory marinade. 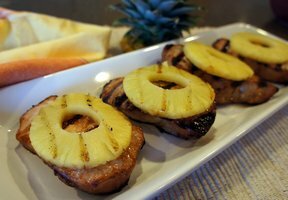 The grilled pineapple adds a little extra to the pork. 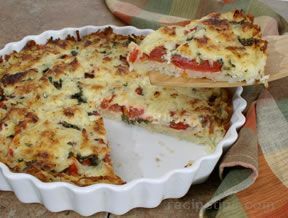 Serve it atop a bed of wild rice.